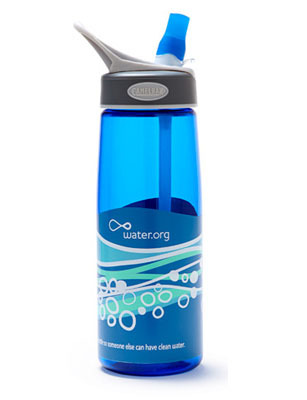 The new Water.org CamelBak Better Bottles are actually three gifts in one. First off, the stylish, 750-ml containers, available in BPA-free plastic or stainless steel, make great gifts for hikers, gym rats or just your average student or commuter. Second, all proceeds from the sales go to help the nearly one billion people around the world without access to clean water. Third, it's a tasty sip of celebrity cachet: the limited edition bottle, available only on the group's website, is endorsed by Oscar-winner Matt Damon  one of Water.org's cofounders.